Cell phone amplifier integrators can choose to offer their clients a number of brands. Despite the variety of options, Wilson Electronics’ brands continue to be the leading choice for cell phone booster integrators nationwide. CE Pro’s 2017 Brand Analysis Study surveyed the top 100 highest-revenue cell phone booster integration firms. 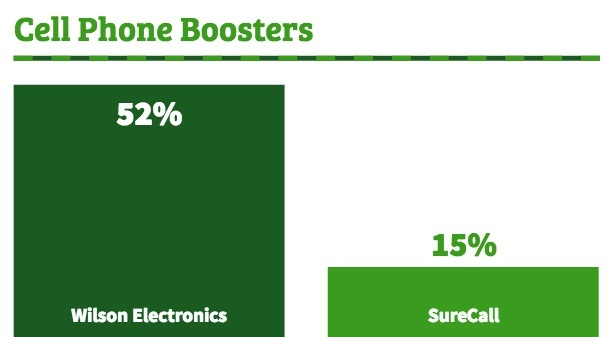 The study found that 52% of these leading integrators chose to offer Wilson Electronics cell phone boosters to their clients. Wilson’s leading position in the market is nothing new. In fact, Wilson has led the market by a wide margin ever since CE Pro started tracking the cell phone booster category, the company noted. 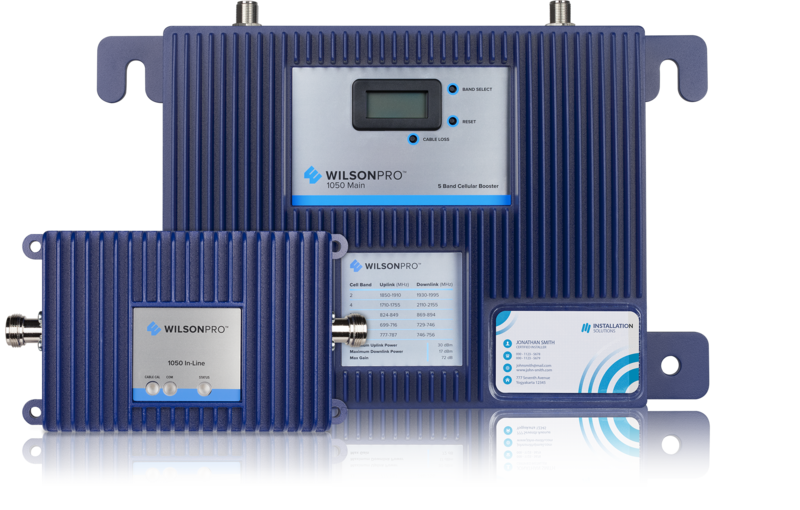 Wilson Electronics cell phone amplifiers help integrators solve the most difficult cellular connectivity problems for both commercial and residential users. These amps form integral parts of passive distributed antenna systems (DAS). Wilson’s WilsonPro and weBoost brands offer comprehensive solutions to fit the unique needs of clients. 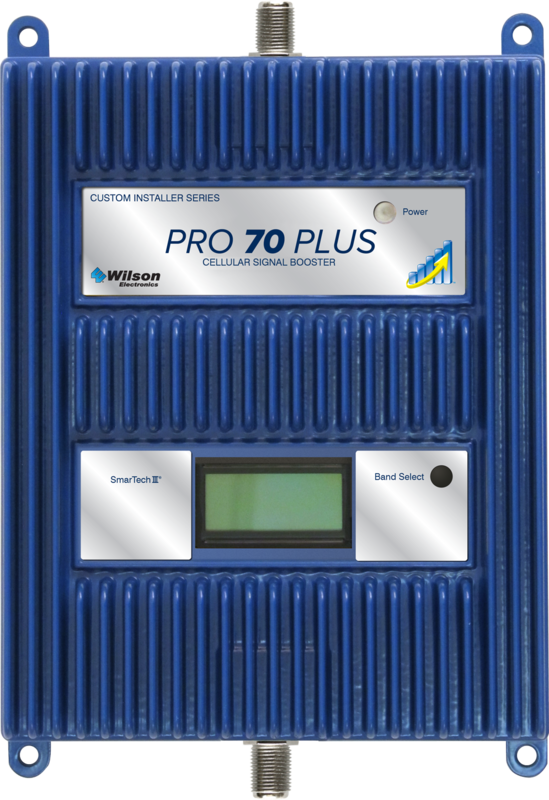 Wilson’s cell phone amplifier products include the Wilson Pro 70 model, ideal for solving connectivity problems for small businesses and homes, as well as leading commercial connectivity solutions like the Pro 1050.
em of signal loss by using a dual-amplifier system, which consists of a main amplifier and a supplementary inline amplifier. 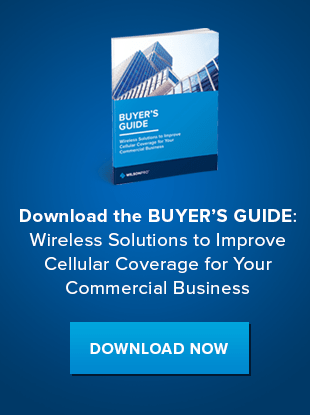 It’s the industry’s first Federal Communications Commission (FCC) and wireless carrier-approved “inline” cellular booster system and it’s poised to change the way passive DAS integrators work on future projects. In the modern market, integrators need to offer a full suite of connectivity solutions, and Wilson Electronics’ cell phone boosters offer the most time- and cost-effective solution for your clients. Wilson considers its passive DAS integrators partners. We offer comprehensive training and product resources, access to leads, post-installation support, and much more. Contact us to learn more about our new Partner Program and how you can start offering the country’s leading cell phone amplifier brands to your clients.